Bridgetown, Barbados, December 10, 2013. 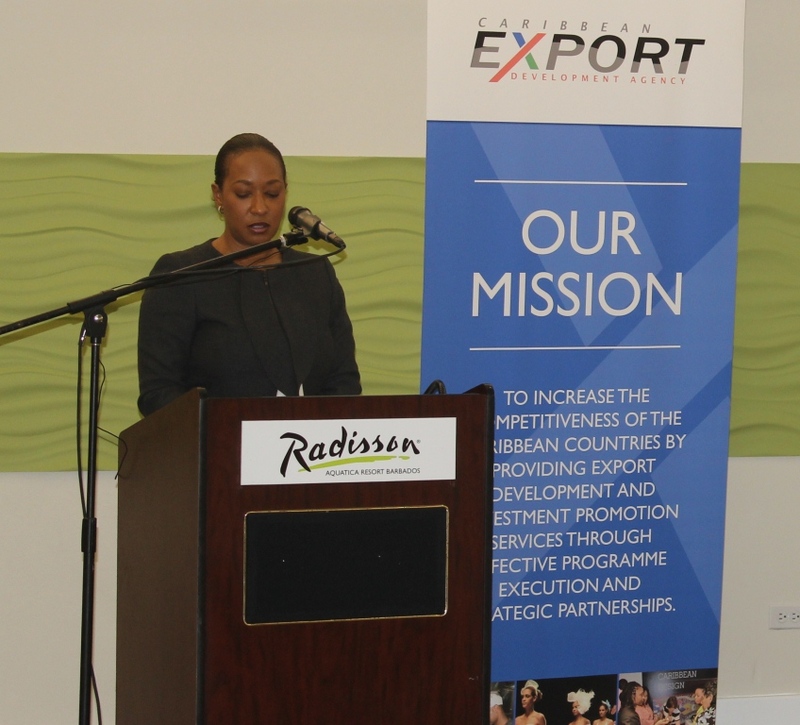 The Caribbean Export Development Agency (Caribbean Export) in collaboration with The Government of Barbados convened a meeting on the Financial Services sector in CARIFORUM at the Radisson Hotel, Barbados on December 9, 2013. The meeting of Ministers with responsibility for financial services and key industry professionals was assembled to develop the strategic direction relating to the continued development of the industry, to develop recommendations relating to the governance structure of the regional initiative, and to determine the strategic engagement of the Overseas Countries and Territories in the overall process. Chaired by The Hon. Donville Inniss, Minister of Industry, International Business, Commerce and Small Business Development, Barbados the meeting was convened within the context of the importance of a vibrant financial services industry to the sustained economic development of the region, and the severe challenges facing that industry in light of the global economic crisis. In particular, the Organization for Economic Cooperation and Development (OECD), in which the European Union (EU) plays a key role, has continued to express concerns about the status of regional jurisdictions. Moreover, CARIFORUM countries remain cognizant of commitments to cooperate on finance issues outlined in the CARIFORUM-EU Economic Partnership Agreement (EPA) especially as it relates to tax policy and administration. In the opening address, Minister Inniss noted that the Financial Services is the second largest contributor to GDP in the Caribbean represented by 17% GDP and stressed that “when it comes to IFCs we have no more time to waste. This sector is way too important to our economies and societies”. Caribbean International Financial Services Centres (IFCs) have come under increased pressure and scrutiny through a number of developed country led initiatives such as the Foreign Account tax Compliance Act (FATCA), anti-money laundering standards, tax base erosion and profit shifting and exchange of information standards. Many of these initiatives have been driven by the desire to stem the perceived leakage of tax revenue from developed states to the region. As a result, several countries known as tax havens have had to either shut down their financial centres or implement a number of measures to continue to access bilateral aid. At the Twentieth Meeting of the Council of Ministers of CARIFORUM, Caribbean Export was identified as the organization charged with providing support to the development of the financial services sector. The decision taken at the Meeting of the Council of Ministers of CARIFORUM therefore places Caribbean Export in a pivotal role. Pursuant to this, Caribbean Export has established the Task Force for the Promotion and Protection of the Caribbean Financial Sector (TFP-CFS) to facilitate the development and continued viability of the industry.